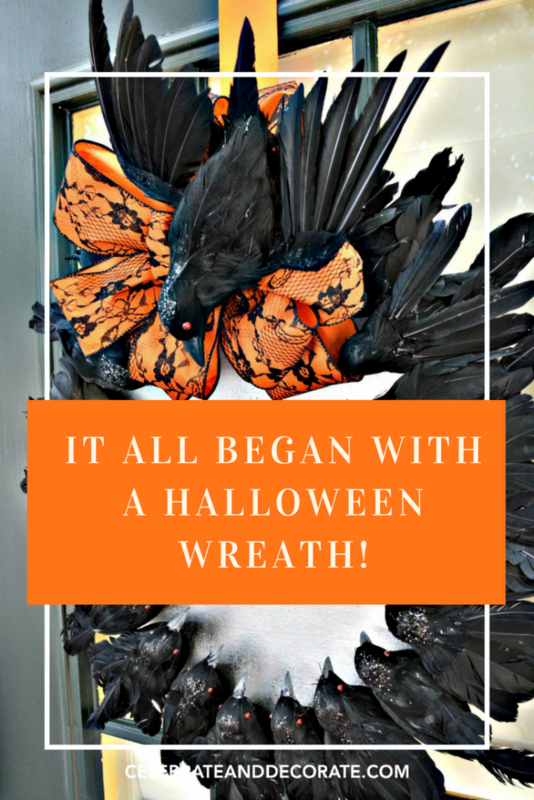 It All Began With A Halloween Wreath! You are wondering why I am showcasing a Halloween wreath today. 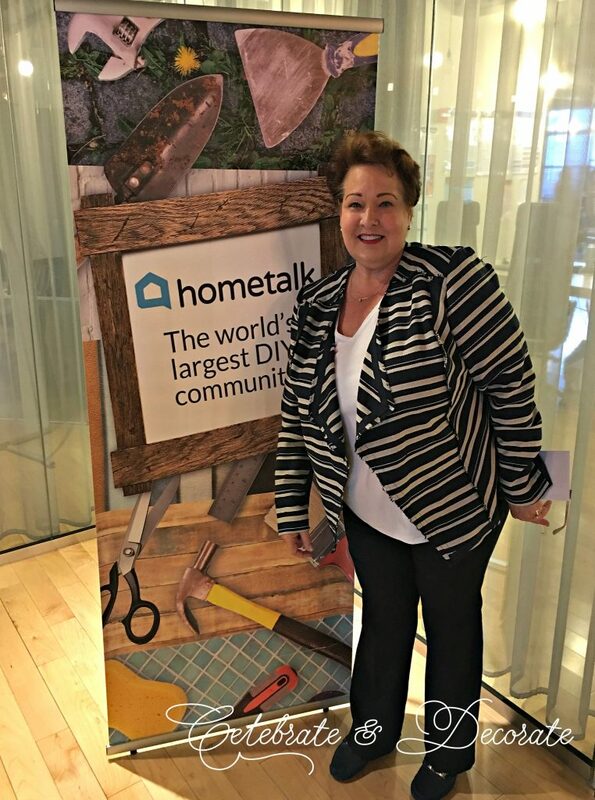 I just returned from a trip to New York City to attend a Blogger Meetup with Hometalk. If you don’t know what Hometalk is, you need to keep reading and then head over to Hometalk.com and see what it is all about! You might think if you are not a blogger this is not applicable to you, but if you don’t know Hometalk, you are missing out! Back in the Fall of 2015 I received an email from Hannah with Hometalk. She had seen this wreath and wondered if I would share it on Hometalk. Honestly, I had not heard of Hometalk before this time. I headed over and filled out the simple project form and shared my wreath. The next thing you know I am seeing traffic on my blog from HouseBeautiful.com and Huffington Post Home! Before I knew it, that project on Hometalk had over 200K views! Today that first project has nearly 365K views and that is not even the most viewed project of mine at Hometalk! 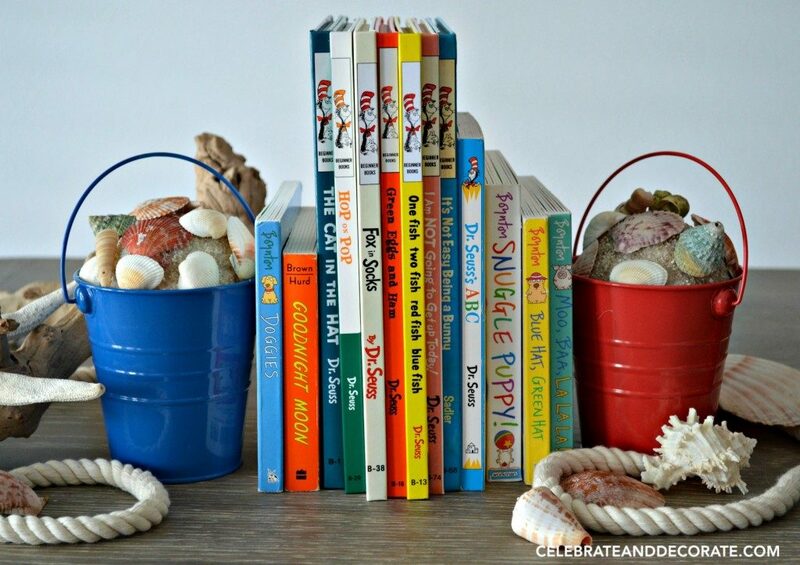 Here are my Beach Pail Bookends I shared on Hometalk! There is so much information for the DIY’er, the Crafter and the Homeowner on Hometalk. 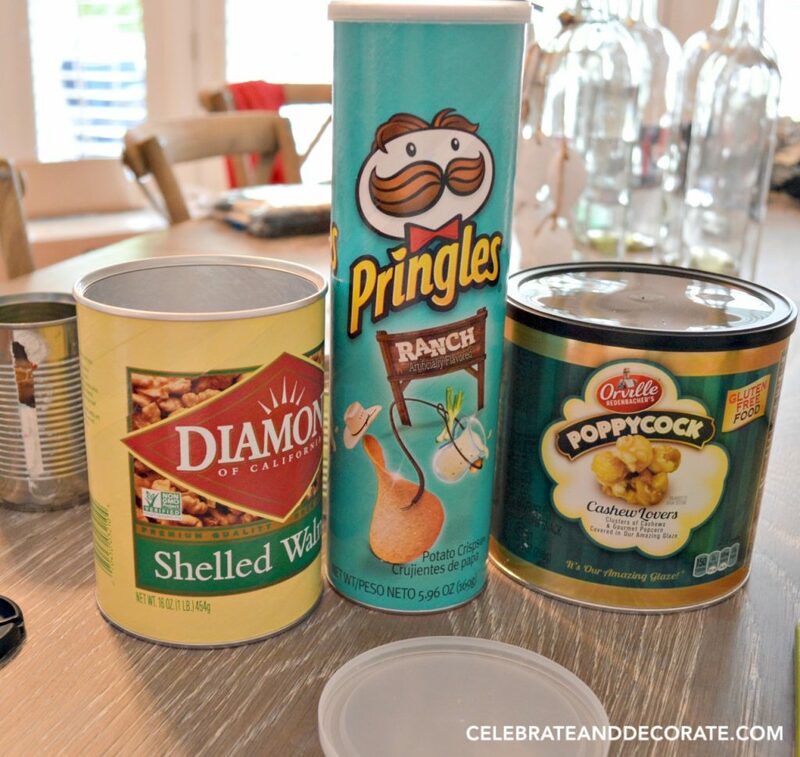 Did you see what I did with these containers? I will be doing a Facebook LIVE DIY on this project on Friday, February 24th for Hometalk. The point is, if you are looking for ideas for anything to do with your home, head on over to Hometalk and see what you can learn! 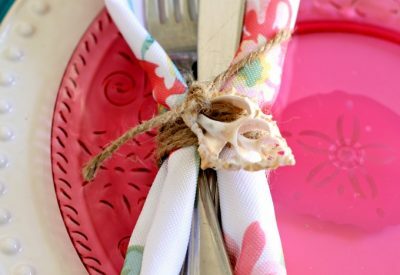 I love Pinterest, but so many of the links are dead ends, I love that all of Hometalk’s projects are all there, complete with instructions, AND there is a spot to easily ask questions! 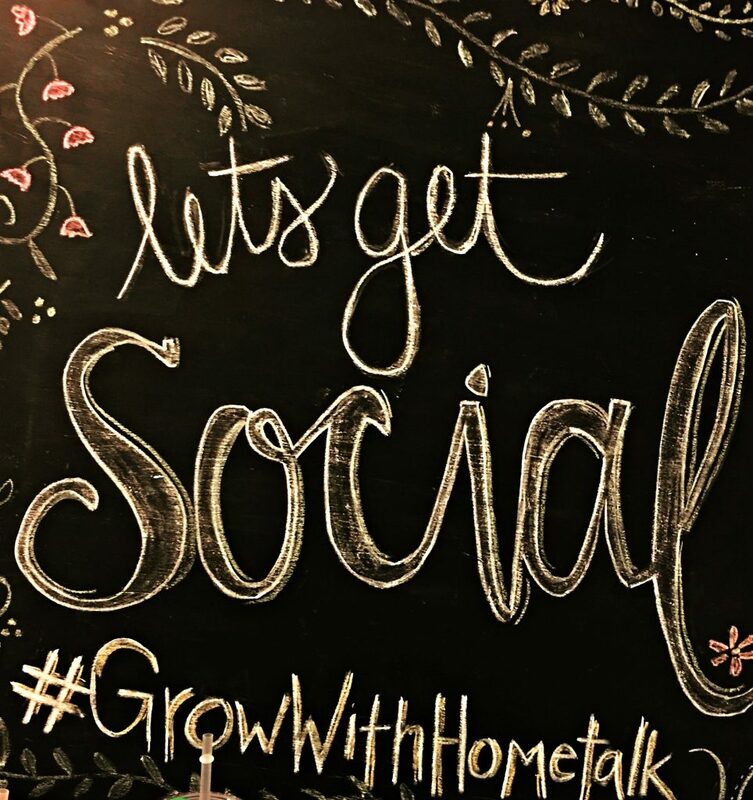 For my fellow bloggers, if you haven’t gotten involved with Hometalk, now is the time! Hometalk can help direct traffic to your blog, a LOT of traffic. They have a great Blogger Traffic Program that will feature a direct link to your blog of one of your Hometalk projects at least once every 90 days and could be as often as once in 30 days! Do you know how much traffic that can send to your blog?! 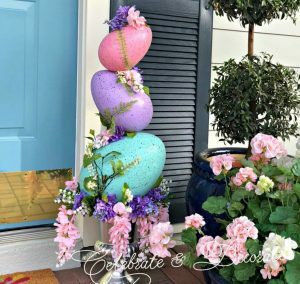 I have had occasions when they have shared a project of mine with a link back to Celebrate & Decorate that has resulted in nearly 10 times my average daily visitors! At the Hometalk Blogger Meetup we learned about that “hook” for getting your readers to open your emails and to read all the way through your blog posts. The bloggers there, me included, mentioned how some of this went agains everything we had been told, but Hometalk is famous for not sharing the “final” picture or project until the end of a post, which leads your reader on their own path to discovery, that way you are taking them on the journey to see what your final project is! 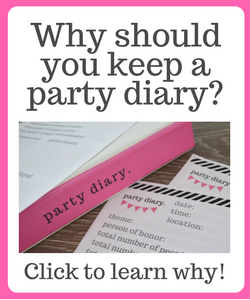 Take advantage of the time and money they have put into analytics to help guide you on your blogging path. Facebook Live for Hometalk (and YOU)! 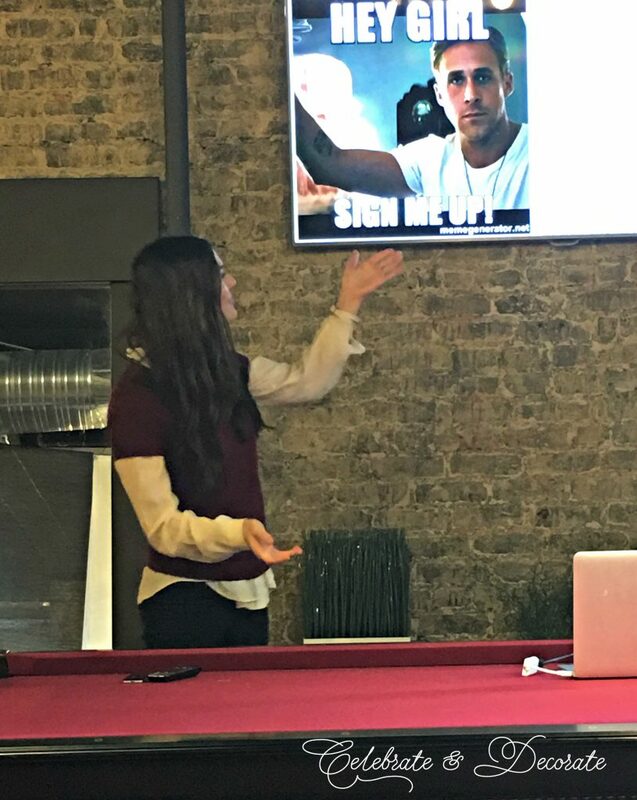 Above you see Hannah wrapping up her talk about Facebook Live for Hometalk. This is a program that Hometalk has where they pay bloggers to host a Facebook Live for a project they have shared on Hometalk. Hometalk will pay you $150 for a Live! Aren’t you doing those projects anyway? 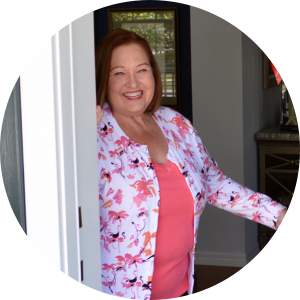 I have hosted over a dozen Facebook Lives for Hometalk, and yes, I was nervous at first, but give it a go! AND, Hometalk posts all of those LIVE videos on YouTube…so even MORE exposure! Just for fun (or to scare me to death), just on Facebook, my LIVE videos have over 1,725,000 views!! Wow, I need to work on my hair and makeup, not to mention diet and gym time! 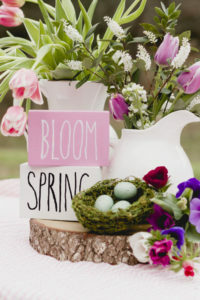 There are so many other advantages of connecting with Hometalk, reach out and see if it is a fit for you and your blog, or even if you would just like to check out what they have to offer in terms of craft, DIY and home improvement advice! 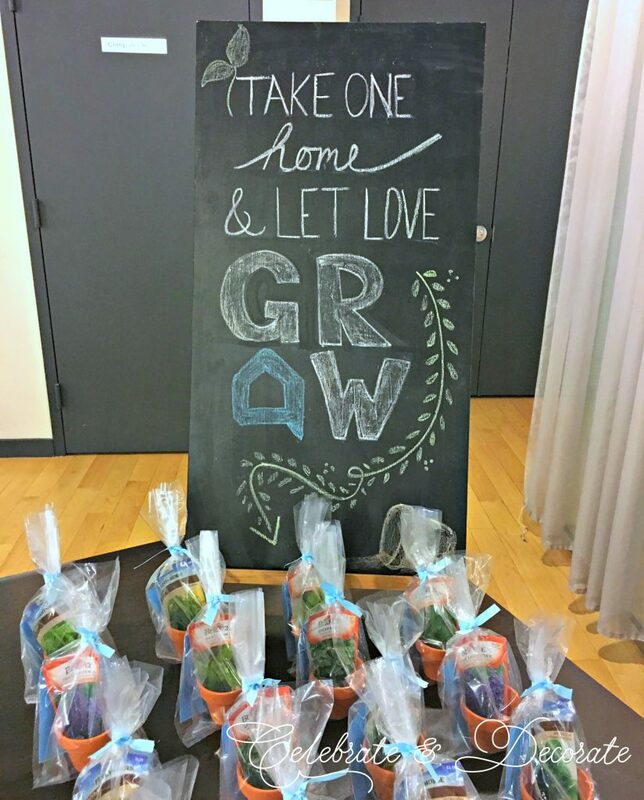 I am a big believer that Hometalk can help your blog grow! Try it out! 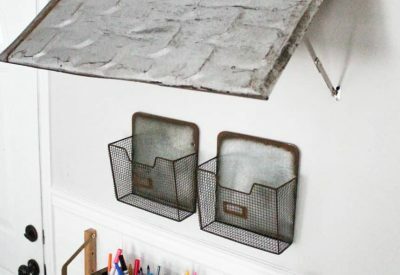 Look at how they share and feature projects and consider using some of those techniques yourself! Congratulations! You took the plunge! I find that my projects usually appear right away, but I will forward your question on to someone at Hometalk, I don’t know why it isn’t showing up! Thank you for your kind words! No need, thanks, I can probably find a help area or something. Do you see them generally just by hitting the home page and viewing recent projects? THanks! Hometalk really is a great resource, and I know many bloggers who have been helped tremendously because of its traffic drive. Congratulations, Chloe. Well-deserved! Thank you Rita, I can’t stress enough what a great partner they are! They are great, and yes, I got to have such a great time in the city seeing my son and daughter in law was a great bonus! This is an awesome post about Hometalk, Chloe! A must read! 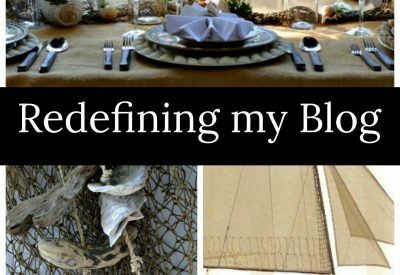 Like you, I can’t say enough about how posting on Hometalk has propelled my blog! #HometalkRocks! Thank you Gail, I hope I shared the pertinent information with everyone! Ohmygosh, ohmygosh, ohmygosh… CHLOE!! Not only did I get my project successfully posted and viewed on Hometalk… it currently (Sunday night) has had 22,000 views, wonderful comments, and was the SECOND PROJECT on THE HOMEPAGE when I went to look this evening!! Of course I’m curious to see if it has resulted in much new blog traffic, but for the moment I am just SO excited! Thanks for this really fun tip – I don’t know why it took me so long to get to Hometalk, but I am hooked! Thank you so much Kathryn! It was such an honor! I learned so much, my mind is spinning! Where to begin? So much to do, so little time!! Congrats Chloe! Oh Jenna, that is the TRUTH! I have my granddaughters coming for a visit in a few weeks and I am really trying to work ahead! Whew! You are such an inspiration Chloe and thank you for sharing this. I did some browsing on Hometalk yesterday and found lots of projects that are within my skill set. Now I have to get busy and come up with a few of my own. Thank you so much and congratulations on your success! Oh, you are so sweet, Sandra! I can’t wait to see what you come up with! When you post a project on Hometalk and it does well, I’ve noticed the Hometalk post may surpass your own current ranking for that same post from your site on Google. Have you noticed a negative effect from that? I realize initially it brings more traffic to your site than you would have gotten without Hometalk, but anyone searching on Google for a Halloween wreath, will likely click on the Hometalk link and not yours (assuming it does out rank your site post). Then when it takes them to Hometalk, they may not click on your site link from Hometalk. I’m just wondering because I recently posted my first Hometalk post, with similar results to yours and Hometalk is right below me in the Google search, but I expect will out rank me shortly. Hi Ellen, Thank you. Yes, Hometalk will always appear before me in a Google search, but that is fine with me. I get way more traffic from Hometalk than I would ever lose to them. That makes me feel better. Thanks Chloe.